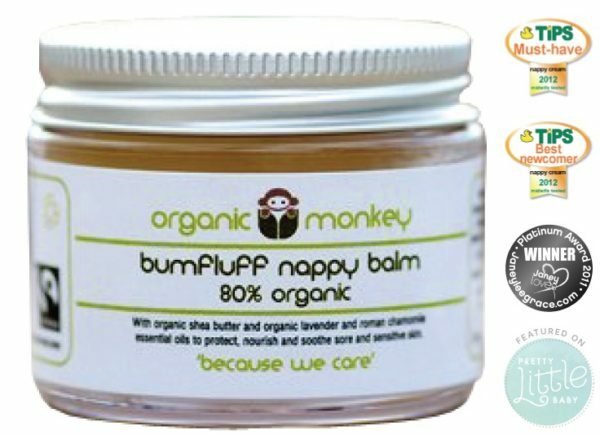 Nappy Balm. 90% Organic. It is important to keep your little monkeys bottom in peachy condition. 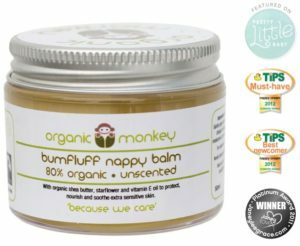 Our award winning, effective nappy balm is made with a blend of organic oils and Fairtrade Shea Butter with added organic Lavender and Roman Chamomile essential oils to nourish and protect against conditions that may lead to nappy rash. ✽Helianthus annuus (sunflower oil), ✽*Butyrospermum parki (shea butter),✽*Olea europea (olive oil), ✽Prunus amygdalus dulcis (sweet almond oil), ✽Cera Alba (beeswax),✽Carthamus tinctorius (safflower oil), ✽Borago officinalis (starflower oil), Salvia hispanica (chia seed oil), Tocopherol (vitamin E), ✽Lavandula angustifolia (lavender essential oil), ✽Anthemis nobilis (roman chamomile essential oil), **Citronellol, **D-Limonene, **Geraniol, **Linalool ✽ Organically grown ingredient. 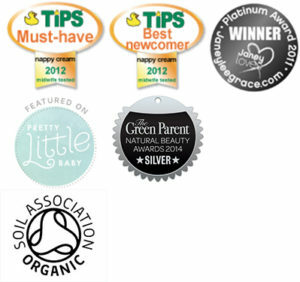 * Fairtrade ingredient certified to international Fairtrade standards. www.fairtrade.org.uk. Fairtrade provides a better deal for producers in developing countries. ** Natural component of essential oils. 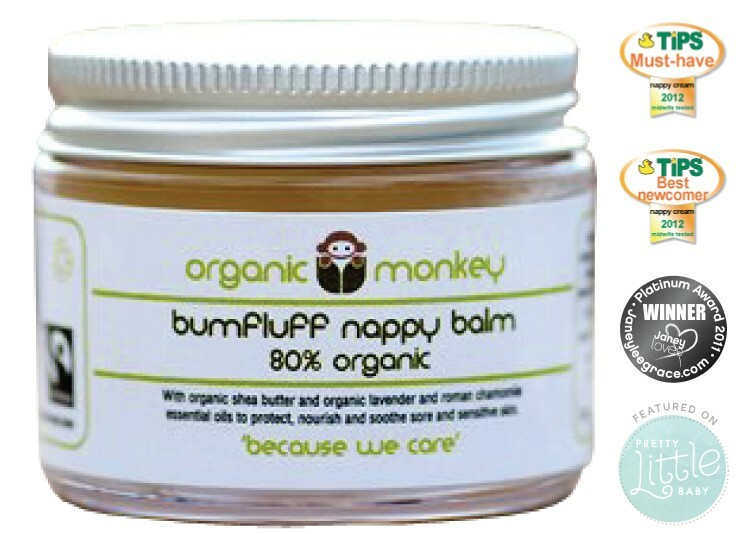 Gently apply after each nappy change to help protect, moisturise and prevent soreness. Keep out of reach of small children. Avoid contact with eyes. For external use only. Suitable from 3 months.